Maharishi University of Management supports maximum growth of our students and the development of total brain functioning. Therefore, we are seriously committed to having a drug-free and alcohol- free campus as well as substance-free students, whether on or off campus. 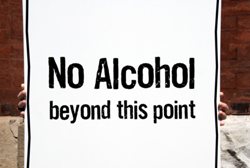 Our stringent policy regarding alcohol and non-prescribed drug use reflects this commitment. 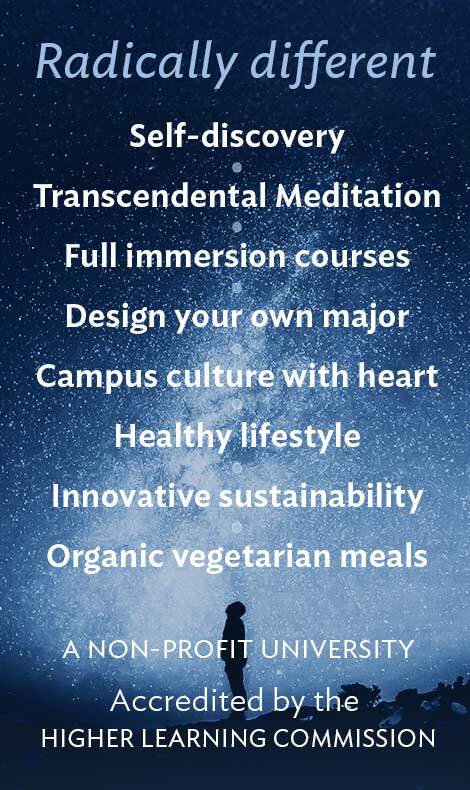 Consciousness-based education is for those who wish to grow in higher states of consciousness, and the use of alcohol and drugs impedes that progress. 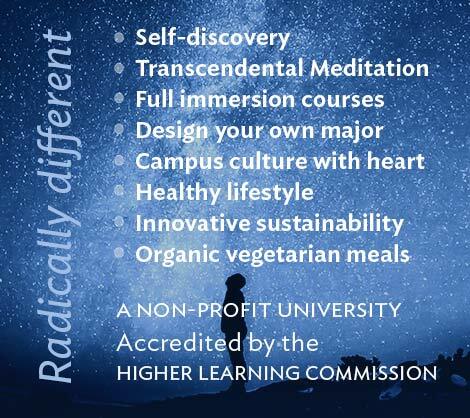 The educational system offered at MUM is designed to unfold the infinite potential of mind, body, and behavior by completely natural means. The influence of drugs and alcohol is not nourishing to our University community. Therefore, anyone who uses these substances, promotes the use of these substances, makes them available to others, or is found in the presence of these substances, in violation of our Code of Student Behavior and/or the law, is subject to disciplinary consequences. Note: Students taking any prescribed medications should continue until their health care provider recommends otherwise. Students seeking assistance with substance abuse issues are strongly encouraged to visit privately with the Director of our Student Support Services, Campus Nurse, or any other member of our Student Life team. We will direct you to the appropriate resources. The drug and alcohol corrective and preventive procedure is found at page 63 of our annual security and fire safety report. Alcohol slows down brain functioning leading to poor decision making and slower reaction times. This can lead to serious accidents when drunk. In addition, alcohol kills brain cells. By drinking you are damaging the very means of gaining new knowledge and being most successful in your life. In the state of Iowa, the possession, use, or distribution of alcohol, is illegal for anyone under age 21. Students in violation of any alcohol-related laws will be subject to remedial action, and may also be prosecuted under state or federal law. The possession, use, and/or distribution of alcohol and empty alcohol containers is prohibited on campus. If a student of any age has alcohol or empty alcohol containers in his or her possession on campus, this is regarded as a serious breach of conduct. Students are also not allowed to be in the company of those who are using or distributing alcohol on campus. Violation of this policy will result in immediate remedial action. The University strongly recommends that students of all ages abstain from the possession, use, or distribution of alcohol off campus as well as on campus. The underage possession or use of alcohol off campus, distribution to students under the age of 21 off campus, and driving while under the influence of alcohol anywhere are prohibited and subject to immediate remedial action. Note: the alcohol and drug abuse policy is in effect during all field trips, Rotating University classes, other University-sponsored events, and internships. “Even low doses of alcohol significantly impair the judgment and coordination required to drive a car safely, increasing the likelihood that the driver will be involved in an accident. Low to moderate doses of alcohol also increase the incidence of a variety of aggressive acts, including spouse and child abuse. Moderate to high doses of alcohol cause marked impairments in higher mental functions, severely altering a person’s ability to learn and remember information. Very high doses cause respiratory depression and death. If combined with other depressants of the central nervous system, much lower doses of alcohol will produce the effects just described. “Repeated use of alcohol can lead to dependence. Sudden cessation of alcohol intake is likely to produce withdrawal symptoms–including severe anxiety, tremors, hallucinations, and convulsions. Alcohol withdrawal can be life-threatening. Long-term consumption of large quantities of alcohol, particularly when combined with poor nutrition, can also lead to permanent damage to vital organs such as the brain and the liver.